I hope all #theinfected out there are having a fantastic Saturday. It's a decent fall afternoon here. All the trees have decided to shed their leaves today and the wind is helping speed things along while the sun has generated enough heat for a battalion of bugs to take to the air against the desease that has infected this planet ... but their attacks are ineffective because they're just so damn small. I'll tell you this for nothing ... if the bugs ever got organized we're all fcked. 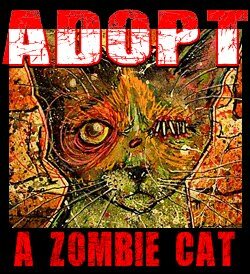 I have started to upload more designs for Zombie Cat Tshirts and Apparel. 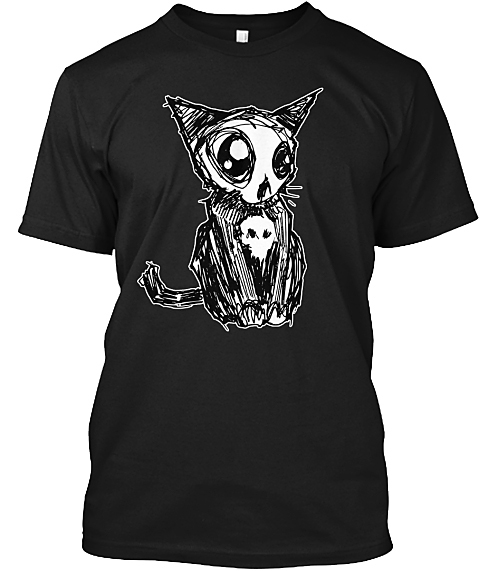 I am trying to make it a routine so that it gets automatic and easier, and to help with that I'm starting with just one print on demand company for now, and that is teespring.com ... from what I can tell so far the quality is great and the customer service is really good too. You can check out my whole line here at TeeSpring or on the page I have made on this blog. Do you have a favorite print on demand site or any suggestions for what else I should do let me know in the comments.